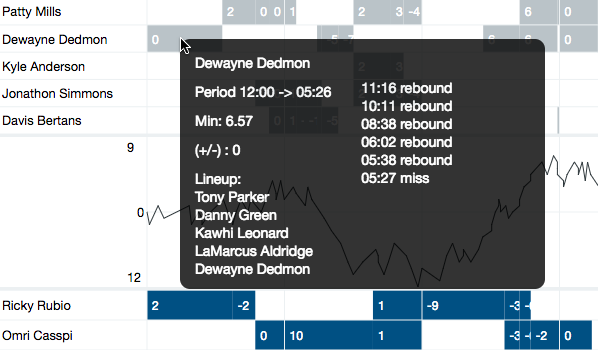 The start of the NBA season is upon us and we’re pumped to announce the addition of game breakdowns to CourtIQ. For those new to CourtIQ, it’s a powerful tool that provides a detailed picture of how NBA players perform based on any combination of teammates and opponents on or off the floor. It includes box score stats, usage, and boils it all down to fantasy points produced. It’s an essential part of any serious NBA DFSer's daily process and there’s no better place to turn following a late scratch. 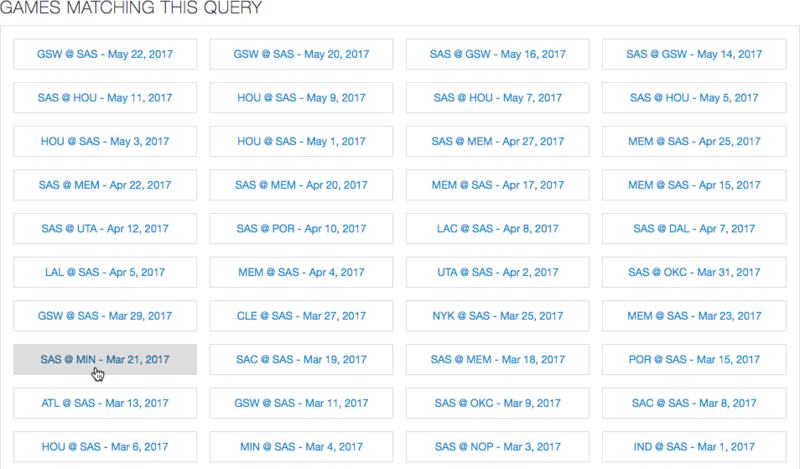 In a couple of clicks, we can see exactly how any player’s absence will impact the game from a fantasy perspective, allowing us to find the best pivots and values. We’ll do a quick breakdown of the tool including an introduction to the brand new game breakdowns, which portrays the flows of each matchup in a clear and concise manner while providing tons of actionable information. Let's get to it. Now we see Anderson's usage only increases by 0.3% in this scenario and he actually produces fewer fantasy points per minute. Here we can go even deeper into every single NBA contest. Each breakdown includes two tables – one for each team – and a graph showing us the game flow based leads throughout the contest. On the left side of the top table, we see each Spurs player that made an appearance. They each have their own row broken up by “stints” or, in other words, stretches of time on the floor with a specific lineup. Every time there is a substitution, it results in a new stint. If we take a look at the top of the table, we see that Danny Green's second stint is broken up into three – each break represents a lineup change. The number in each box represents the group’s +/- during that stint. On the far right, we see some columns totaling each guy’s numbers for the game. Looks like he was a beast on the glass early on, racking up five boards in about six and half minutes of action. Each pop up includes the period of time they played on the left along with the specific lineup on the floor during that time. On the right, we see an activity log that shows how involved each guy was when they were on the court. That about does it! Check out CourtIQ for yourself and take your game to the next level.